Natalie Bridgeman Fields is the Founder and Executive Director of Accountability Counsel, a legal non-profit that employs community-driven and policy-level strategies to protect human rights and the environment. The organization supports communities harmed by internationally-financed development projects to utilize accountability offices attached to development financial institutions. Natalie founded Accountability Counsel in 2009 after receiving an Echoing Green Fellowship. This narrative is based off an interview conducted by Sydney Speizman, a Pathways of Change summer intern at Accountability Counsel, in the organization’s San Francisco office. Growing up in Santa Cruz, California, Natalie developed an early understanding of human rights and environmental issues – including the United States’ role in creating and perpetuating them – through exposure to peace and environmental justice movements, interactions with war refugees living in her community, and experiences traveling to the USSR and South Africa. Natalie continued to engage with these issues throughout college, studying Government with a focus on International Relations at Cornell University. During the summer after her junior year, she had a pivotal internship with the Center for International Environmental Law that introduced her to accountability offices as a means of redress for harm caused by internationally-financed development projects. During this internship, she supported a complaint from a community in Paraguay to the World Bank’s Inspection Panel, which was the only accountability office established at the time. This experience, and particularly seeing a community leader from Paraguay given the chance to speak to World Bank leadership, illuminated the leverage potential of targeting the seat of financial power in order to create change. Natalie further explored this idea by writing a college thesis on how NGOs leveraged U.S. congress to promote environmental reform at the World Bank. Following graduation, Natalie attended UCLA School of Law, focusing on public interest law and policy. During the summer after her first year, she served as a consultant for the Inspection Panel managing a case in Ecuador. After working within the accountability office, she felt that World Bank management took the Inspection Panel and its findings seriously, indicating that accountability offices provided potential for positive impact. Following law school, Natalie became an attorney for Wilson Sonsini Goodrich & Rosati. 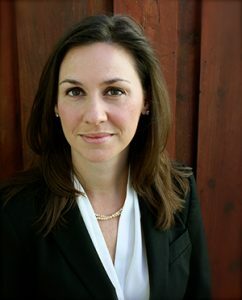 After nearly 4 years at the firm and through her subsequent solo litigation practice, despite achieving substantial victories, she felt that the amount of resources put into human rights and environmental litigation often outweighed the results, and believed that she could have much more impact as a lawyer supporting harmed communities to use accountability offices. Natalie then shifted careers, becoming a consultant for the European Bank of Reconstruction and Development. There, she had the opportunity to redesign their accountability office in order to make it more accessible and easy for complainants to navigate. Around this time, Natalie observed the paucity of support for communities seeking to use accountability offices to push for rights in international finance. So in 2009, Natalie applied for funding to create an organization with the primary goal of improving accountability offices and supporting communities through their complaints processes. In 2009, Natalie was awarded an Echoing Green fellowship and founded Accountability Counsel. Over the last 7 years, Accountability Counsel has grown significantly, from a one-person operation to a 10-person (and growing) organization with offices in San Francisco, Washington DC, and South Asia that has assisted in over 20 cases all over the world. As Accountability Counsel’s Executive Director, Natalie handles the organization’s operations and fundraising. Although she always wanted to be a litigator, Natalie humbly says that she has made peace with no longer providing direct legal support to client communities because she has been able to spend time fundraising to hire incredible attorneys who do better work than she ever could. In addition, as the organization expands globally, she anticipates that she will travel to new regional offices and conduct advocate and community trainings. The biggest challenge the organization currently faces is that it is not growing fast enough to keep up with communities’ needs for strategic support. Natalie says that the most rewarding part of her work is knowing that Accountability Counsel is able to provide the highest quality legal representation to communities who need it most. Since Accountability Counsel was founded, Natalie has seen a significant change in the business and human rights field, as rights-based language has emerged in businesses and begun to take the place of patronizing ideas about corporate social responsibility. There has been an explosion of the number of accountability offices, in part due to both the legitimization of the business case for operations that respect human and environmental rights and pressure from home countries, including the U.S. Treasury Department. In particular, the National Contact Points in OECD countries, which handle complaints regarding the actions of private corporations, have become significantly more active since Accountability Counsel began. When asked what advice she has for students interested in entering the business and human rights field, Natalie emphasizes the importance of taking advantage of summers as an opportunity to experiment and grow networks. She values gaining a diverse set of experiences in order to understand pressures from all sides of an issue.